New Brunswick is an inside job. Those of us from there return frequently. We bring family and friends. That’s most of the tourism. The rest of the world considers our little corner of Canada a drive-through on the way to Maine or Prince Edward Island, Nova Scotia or Quebec. I hope that you’ll at least take a moment to watch the video above to see what’s NOT right in front of all those drivers on our highways. We insiders are quite smug. We’ve had a lifetime to tootle off on spontaneous detours, troll the waterways and drive the ridgeways of this densely forested, fertile valleyed, and largely coastal province. We are quite content to keep our bit of paradise to ourselves. But then again, if you did decide to STOP and enjoy our province with us, we’d be okay with that too. It does keep our loved ones employed. This video happens to be of my hometown, St. Andrews-by-the-Sea, New Brunswick. There’s no special effects, it really is this stunningly beautiful. Gotta go. Need to call home. Suddenly missing the people who taught me to savour it all. I’ve written about Long Table Dinners for CBC Radio One’s Alberta at Noon. I’ve written about Alberta Long Table Dinners for Calgary’s City Palate magazine. I love them. They’re a joyous occasion. Have you been to one? Now’s your chance. You’ve got about 19 hours left to get tickets here. You can never have too much joy. There’s really really nothing quite like a long table dinner when it comes to the chance to savour it all. 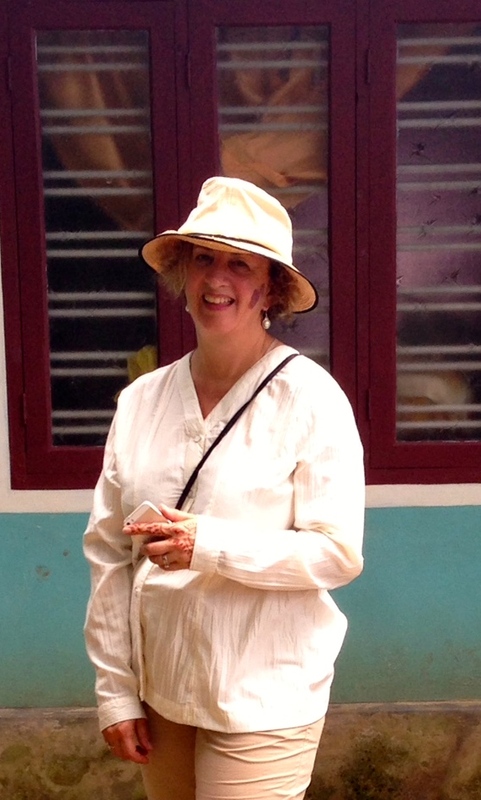 #EatPrayPlay – Would you like to join the cuisine and culture trip I’m hosting to #India November 7 – 23, 2015? 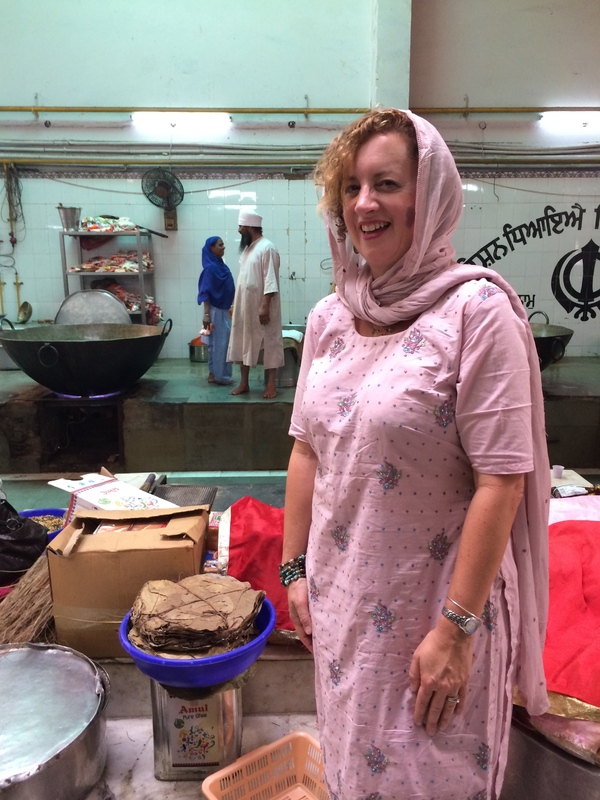 This will be the fourth time I’ve lead cuisine and culture journeys to India. It gives me great joy to share this year’s itinerary here. This year’s trip is all about #EatPrayPlay. #EAT – because this trip is for food lovers and our shared passion for the mouth-watering cuisines of India. #PRAY – because India’s religions are so much a part of the vibrant daily life of her people – we make an effort to learn about them and the culture that forms around them. #PLAY – because, though we’ll see lots of “life in our face”, India will surprise you with the joy and love in most of her people. We make sure to play, have fun, join in festivals and unwind with a restorative form of yoga that anyone can take part in. Let me share some photos and highlights from trips past and plans for this year’s custom tour designed by me and my partners at Indus Travels. The first time I went to Giverny – and inside the high walls surrounding Claude Monet’s home and garden – it was May. Iris were everywhere. They were tall and sparkling with dew in shades of mauve, purple, yellow and white. They took the lead in a joyful song of spring with lilacs and wisteria as voluptuous back up singers. My mind grabbed that purple haze of flowers and sealed it away. Irises became synonymous with Giverny for me. I never thought of how it would be the rest of the year. My recent visit was an epiphany. April means tulips at Giverny. The iris were only thinking about their diva-ish debut. The wisteria were wistfully waking, the lilacs were racing the apple blossoms for heightening senses with their scents-ability. I think I’ll need to go every month of the year to truly understand the beauty of Monet’s intricate masterpiece. This visit was the fulfillment of an innocent wish made at another time and another place – far from Paris or Giverny. I’ll tell you a bit about that before I share some of the photos I took of Monet’s true masterpiece. 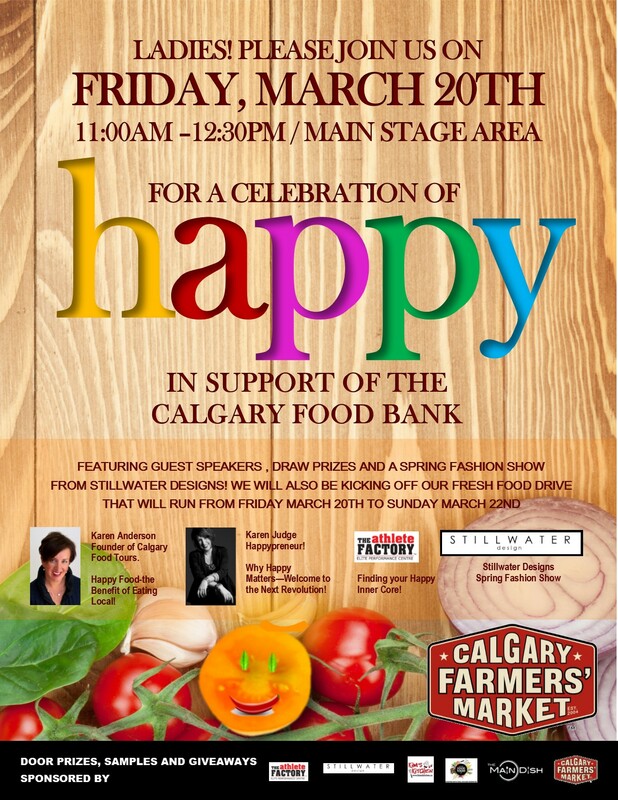 Happy St. Paddy’s and Happy World Happiness Day this Friday – I’ll be speaking @cgyfarmersmarkt to celebrate Food and Happiness – Come on out and say Hi! I’ve never believed in New Year’s resolutions but I do like to think about how I live my life each day. I’m 53. I hope to live till I’m 100 so I’ve accepted that I am now in the middle of my life should I get my wish to live to be a centenarian. When I was about three years old I learned my ABC’s. That’s been useful – especially as a writer – but as I toddle my way into mid-life I’ve been thinking about another use for those 26 letters. I think their convenient format can be borrowed to lend structure to this new time in my life – life beyond A is for apple, B is for boy and C for cat. Last week Tyee Bridge wrote The Wisdom of Birds in Swerve magazine. 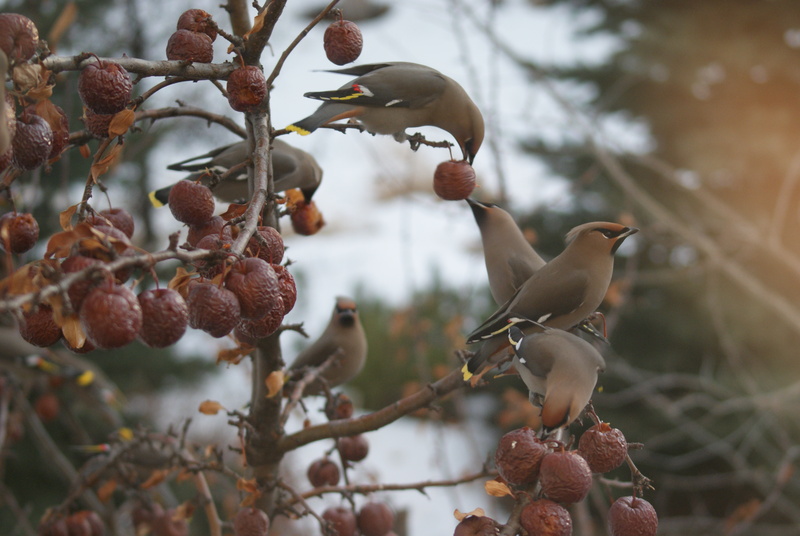 It’s an in-depth look at the joys of bird-watching in Calgary and how to get started. Like Tyee, I’m an amateur bird-watcher and an even more amateur photographer of wildlife. Still, I’m amazed at the joy these feathered friends bring me on days when I can get out in nature and walk amongst them. There are many days I can’t go to them. Blissfully, they still come to see me. What follows are a few photos of feathered friends that stop by to visit.